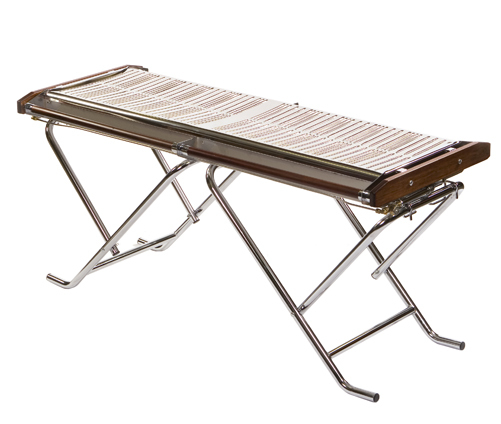 Slimfold Caterer TG160 is the clear market leader and the professional`s choice for commercial catering operations. It has undergone continual upgrading to maintain this position and is well known as the legendary workhorse of the industry;. Legs designed to stop sinking into soft mud, enabling operations in off road situations. Cooking heat reached in less than 5 minutes. Individual controls for both sides of the grill. High capacity and fast throughput of food resulting in more profits. Excess fat can collected in disposable ring pull can. Self cleaning by reflected heat. No dismantling to clean. Foldable to 190mm for transport and storage. Folded legs protect the controls for storage upright on end.